The fist solo cd from Satyaa: long awaited for now finally available! 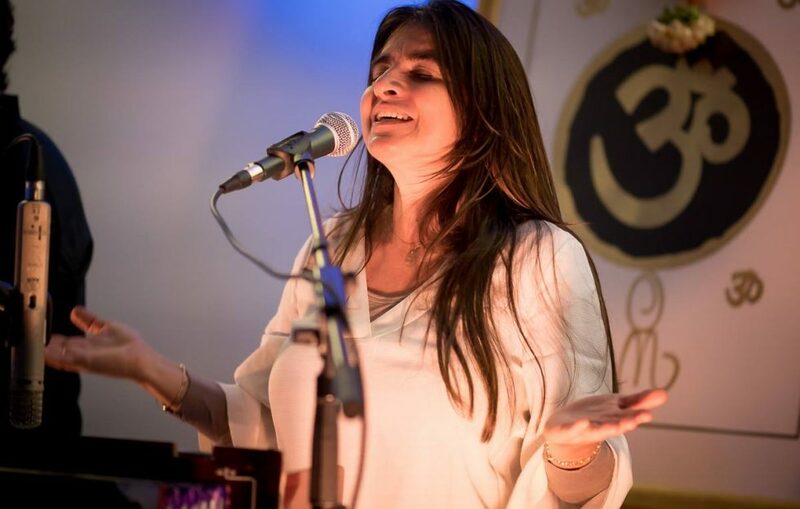 Deeply inspired during her Kundalini Yoga Teacher Training in Rishikesh, India she had these divine melodies coming which she only had to listen to - and later recorded! Deeply inspiring, these ancient and so powerful Mantras are being transported right into the Heart on the wings of most exquisite melodies: Mantras for Healing, Mantras for Self Realisation and diving into Divine Consciousness! A real treat for Heart-Body-Soul and a really masterfully arranged Mantric Manifesto! Produced and recorded in Hamburg / Germany in2014. Lang erwartet, jetzt gerade erschienen: Die erste Solo CD von Satyaa mit Mantren aus dem Kundalini Yoga. Als Sie in Rishikesh, Indien ihre Yogalehrer - Ausbildung machte kamen diese göttlichen Melodien zu ihr, sie brauchte nur noch zuzuhören - und später aufnehmen. Tief inspirierend werden diese uralten und so kräftigen Mantren mit wunderschönen Melodien direkt ins Herz transportiert: Mantras zur Heilung, zur Selbstverwirklichung und Eintauchen in göttliches Bewußtsein! Ein wirklicher Genuß für Herz-Seele-Körper und ein echtes Erstlings-Meisterwerk! Beautiful and touching! It is a wonderfully relaxing, hauntingly beautiful Cd. The purity of Satyaa’s voice (her voice truly touches the heart! ), the excellence of the musicians and the beauty of the music, all combine to make something quite exceptional. I like to listen these powerful mantras. The music brings me back to the present moment and really relaxes me. I'm singing and singing ... I am grateful to have discovered this Cd. More of the same please! I just want to let you know that i absolutely LOVE your new cd. It´s such a pleasure listen to. It´s pure beauty, pure devotion. It´s mind blowing and heart blowing...its so cleaning... till everything is blown away and only my pure soft energy is left. It´s so WOW! I could hear it the whole day! Such a perfect and feminine CD. Thank you, so incredible ! I love you and Pari with all my heart! Have a beautiful time . See you this summer again . Diese CD ist einfach nur wunderbar. Satyaas Stimme und die Mantren die sie singt, berühren so tief, dass es schwer in Worte zu fassen ist und die 5 Sterne für mich hier überhaupt nicht ausreichend sind!!! Music by Satyaa, lyrics traditional. I feel honoured to sing these sacred gurmukhi songs and be able to share them with you. You may use these mantras while you practice and feel the benefit of combining movement with music and those most powerful words – or just simply enjoy listening to the music and sing. Either way you will feel the blessings of the sacred Power Words!. After living many years in India with Osho and Papaji, life brought me into contact with the teachings of the great Yogi Bhajan. Deeply inspired by his teachings I enrolled in a Kundalini Yoga Teacher training in Rishikesh, India with Gurmukh and these songs started to flow out of me like from an old well known source. Satyaa and Pari share their music and their love at the Alexis Zorbas center in Corfu, Greece where they live in summer, and during the winter months at various yoga centers in Europe.